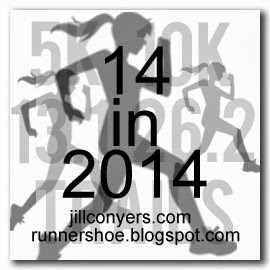 My rumblings about running, theme parks, travel and life in general. 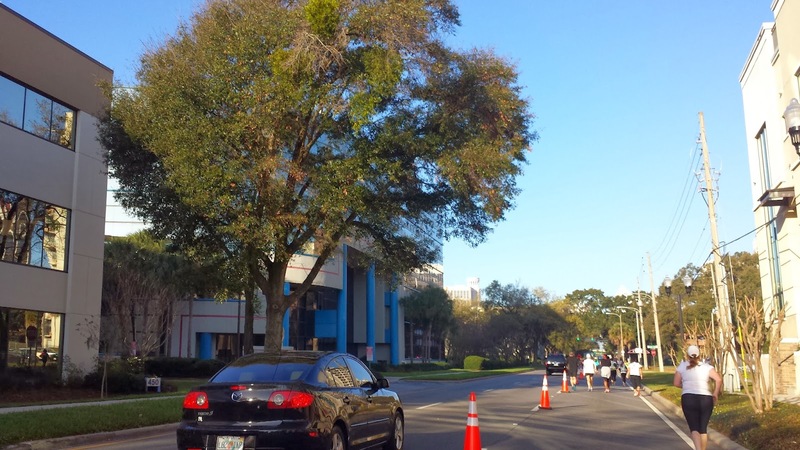 This morning, my team and I participated in the 9th Annual Miles for Moffitt race. This was a very special race for me. 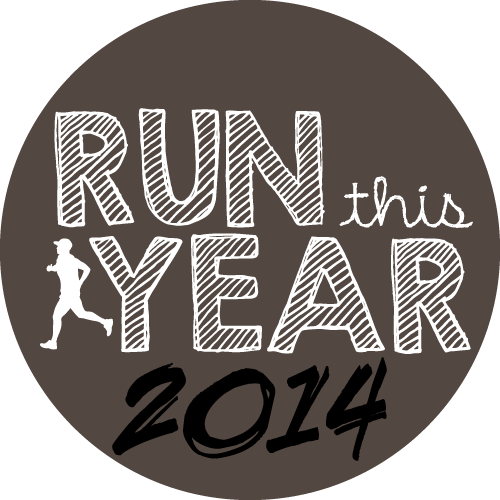 I created a team a few months back to race in honor of my mother in law, Jeri. 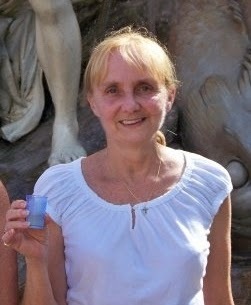 She passed away in November from cancer. 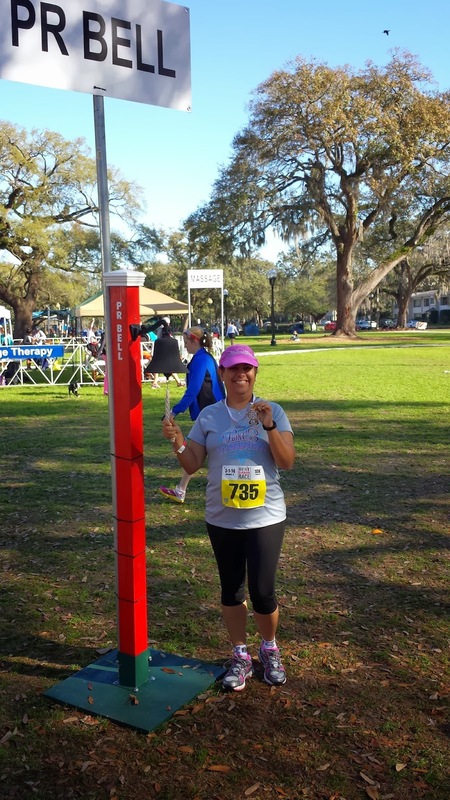 She was treated by Moffitt Cancer Center for four years. This is a great organization that does incredible work in cancer research and treatment. I set up a team page and started to ask my family and friends to join in. Our team name - Jeri's Grinches. She loved the Grinch so I thought it was appropriate. 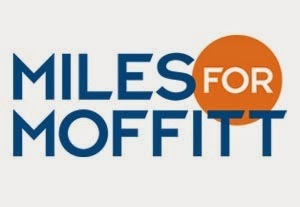 We put a great team together and raised over $1,000 for Miles for Moffitt. 100% of every registration and donation funds cancer research at Moffitt Cancer Center. Saturday morning we woke up and got ready to meet the team at the race site at 6:30am. I made a critical race day mistake - I changed my routine and had Greek yogurt instead of my typical Cliff Bar. This was a mistake I would regret later. Most of the team was there by 7am. Keith, Alana and Richard were still on their way. Keith, Brandi, mom and dad were participating in the 5k while Richard and Alana were doing the 1 mile walk. So they had some time before their race start time. We spent the time waiting for them to arrive catching up and taking pictures. Soon they were calling for the 8k runners to go to the start line. We said good-bye to my parents, who were tackling the 5k and headed to the start. Within minutes, there was a countdown and we were off. 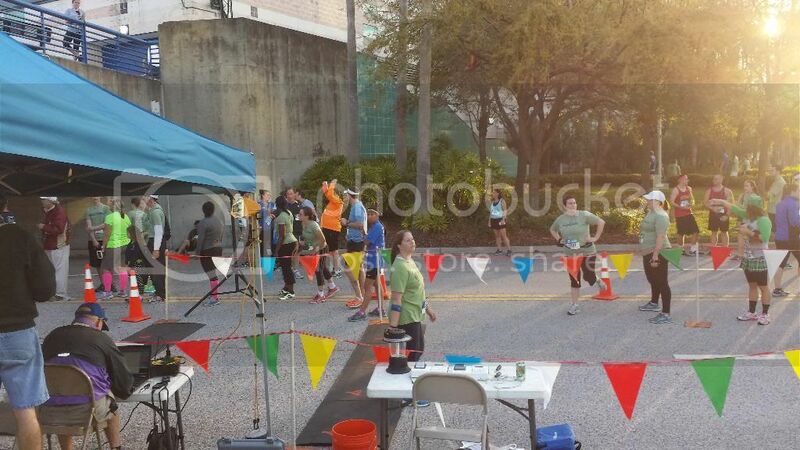 Some runners took the opportunity to high five the Mayor of Tampa, Bob Buckhorn. My friend, Liz, and I decided to stick together and do intervals. I had set my RunKeeper up for 1 minute run 30 second intervals. Krysti and Angela took off and were looking strong. We were soon at the first out and back. Sorry about the blurry pictures, I was on the go. Liz and I were going along and all was well. My dad called me to tell me that they never found Keith, Richard and Alana and they were heading to the start line. The phone call made it that my intervals stopped working. It was also about this time, that I started to get a cramp in my side. This was a first for me. Thankfully Liz and Krysti were by my side, keeping me going and distracting me from the discomfort. 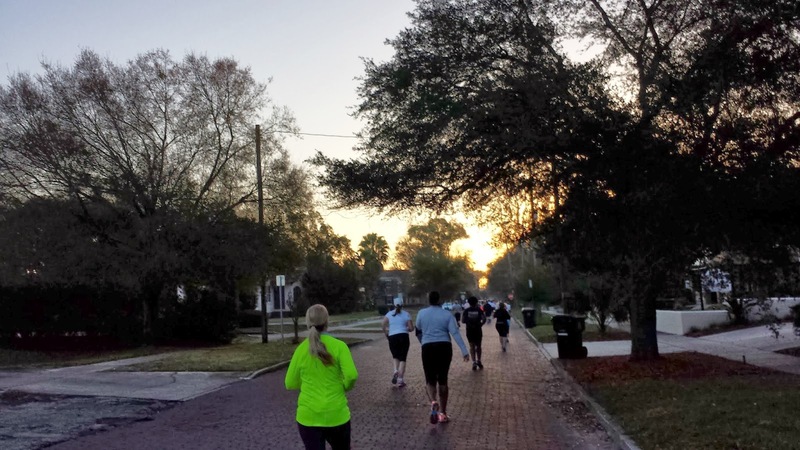 As we approached the 3 mile marker, we could see runners heading in our direction. It was the second out and back on the course. 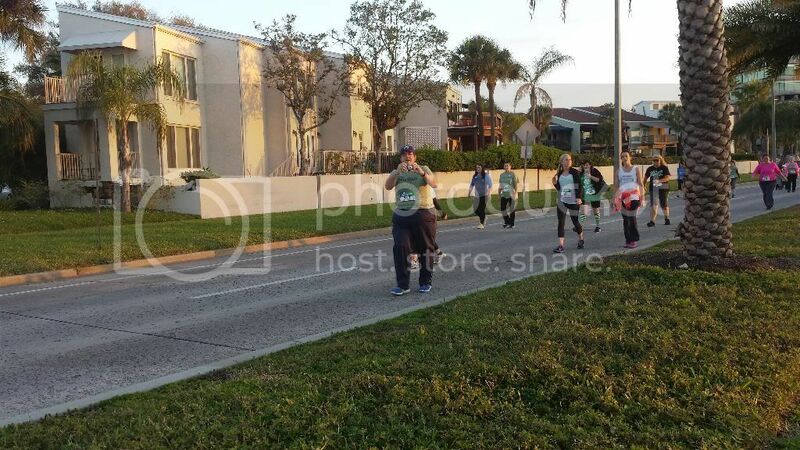 We saw Rick as he passed the 4 mile marker heading towards the finish. He was looking strong and hoping for a PR. Shortly after we saw Angela. She was looking great! I was slow with the camera and she was moving so I almost missed the picture. Go Angela Go! Around this time, I started to feel bad. I was nauseous and felt like I was going to puke. Again Liz and Krysti kept me going and focused on the finish. It was hot and humid but we just kept on going. We would walk some then jog some. Just had to keep on moving. It was hot! and humid! After the 4 mile marker, we could see the 5k meet up point and we knew the finish line was not too far. There it was. The glorious finish line. I'm not sure if it was the heat, humidity, or the yogurt for breakfast but this was a tough race for me. I was very thankful to have Liz and Krysti along to keep me going. We grabbed water and towels they were passing out and waited for the rest of the team to cross the finish line. All distances had the same finish line which made it very easy. 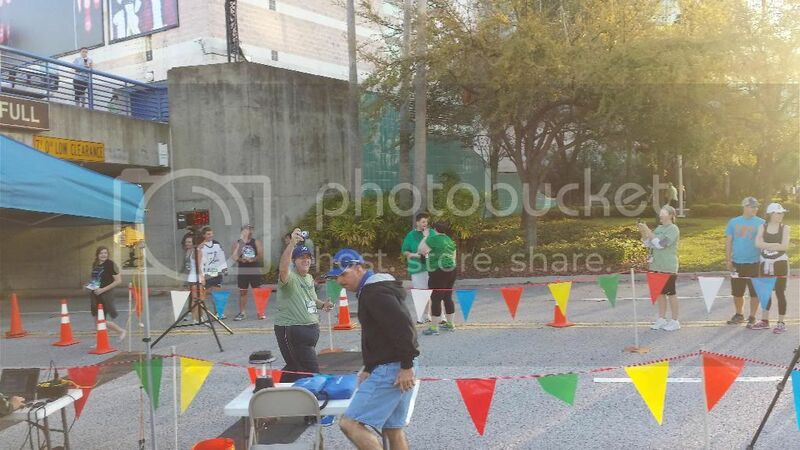 Here is a horrible picture of Richard and Alana crossing the finish line. The guy in the green cap is Evan Longoria, third baseman for the Tampa Bay Rays. 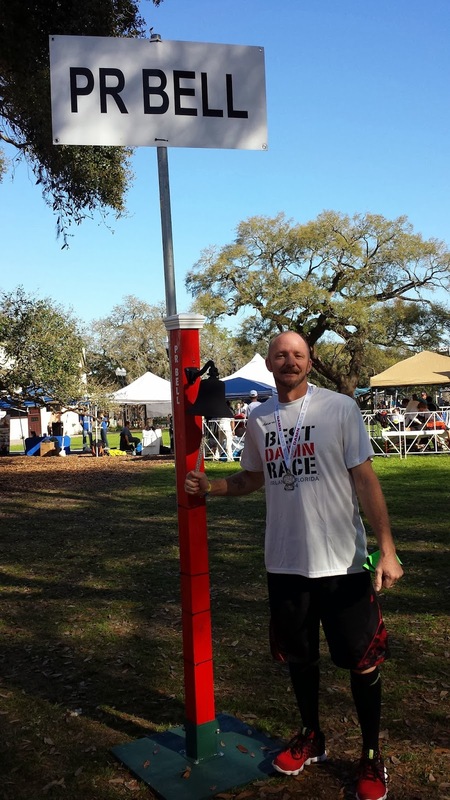 The Tampa Bay Rays are supporters of this race and Evan has participated for the past couple of years. He was there with his girlfriend, Jaime Edmondson, and their daughter. Richard is checking out his survivor shirt. He's a lung cancer survivor. My dad and Keith are prostate cancer survivors. Keith crosses the finish line. Mom crosses the finish line... hands in the air! We gathered the team for a group picture. Then we headed to the food tents for after race bagels, bananas and apples before going home. What a great race! This is a wonderful organization and I was super proud to support them in honor of a wonderful lady. Jeri was full of life and had the best sense of humor of anyone I've known. It was a true blessing to be able to participate in this event in her honor. We will definetly do it again next year. Bigger and Better! Here are our team results for both the 8k and the 5k. Brandi ran in place of Kelly who is dealing with an injury. Here is hoping she's better soon and can run with us next year. 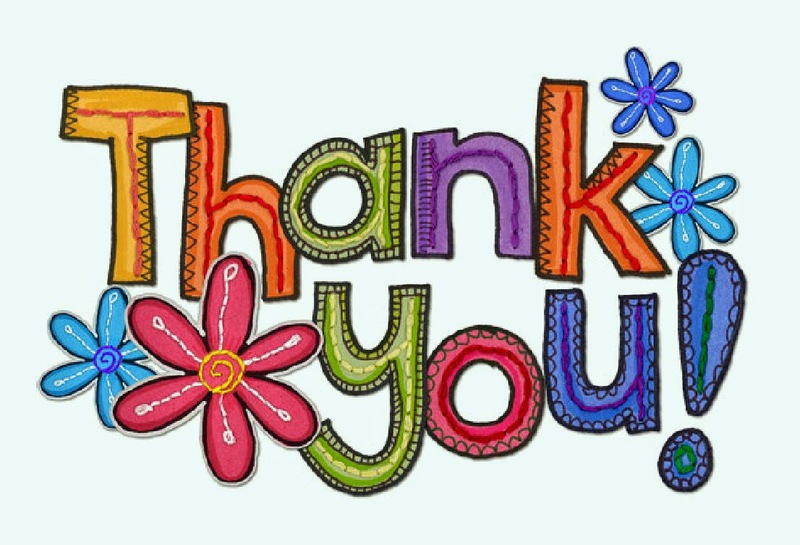 A huge thank you again to the awesome team!! You guys Rock!! 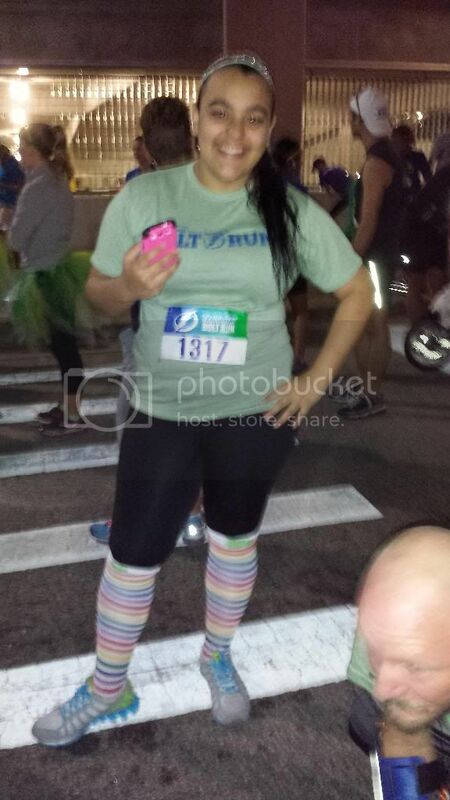 Last month, we participated in the 13th Annual Bolt Run. Yes I'm super behind with my race recaps. I guess it's better late than never. 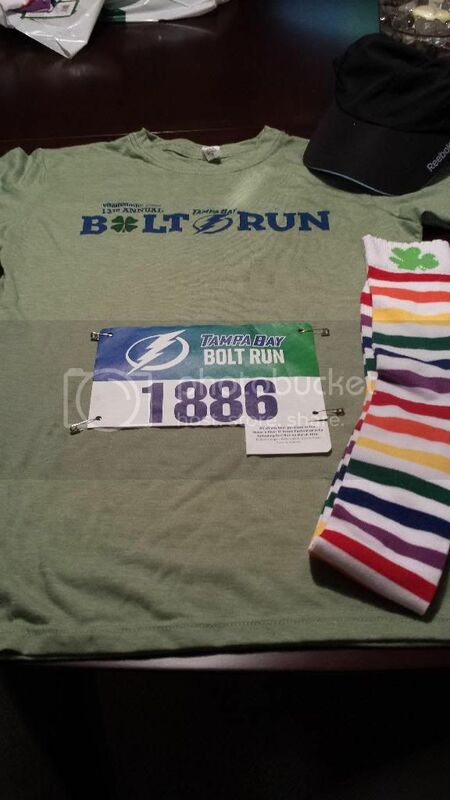 The race was on St. Patrick's Day weekend so the race shirt was green. 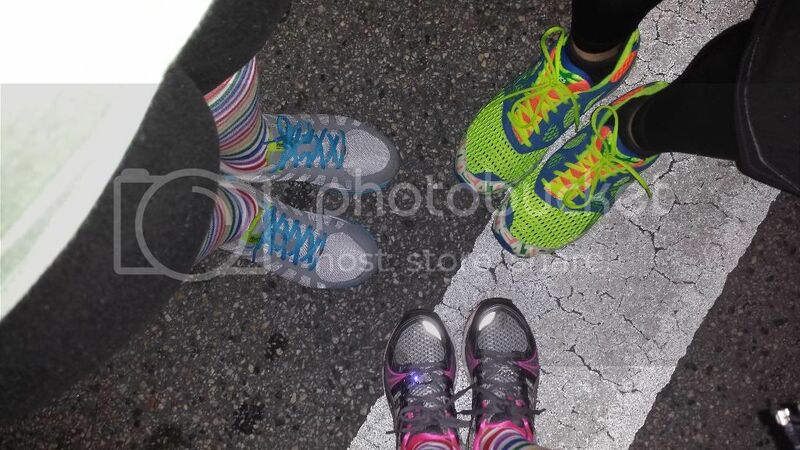 I purchased some fun socks for Krysti and I to wear during the race. Rick picked up our race packets early so I was able to get everything ready the night before. The race is hosted by the Tampa Bay Lightning, our awesome local hockey team, and it started at the Tampa Bay Times Forum. The Forum is only about 20 minutes from our home but I was glad to have arrived a little early because some of the parking lots were not yet open. We were doing the 5 mile race which started earlier than the 5k. We went to the plaza area where we were meeting my friend Keith who was completing the 5k. Soon it was time to head to the start line. 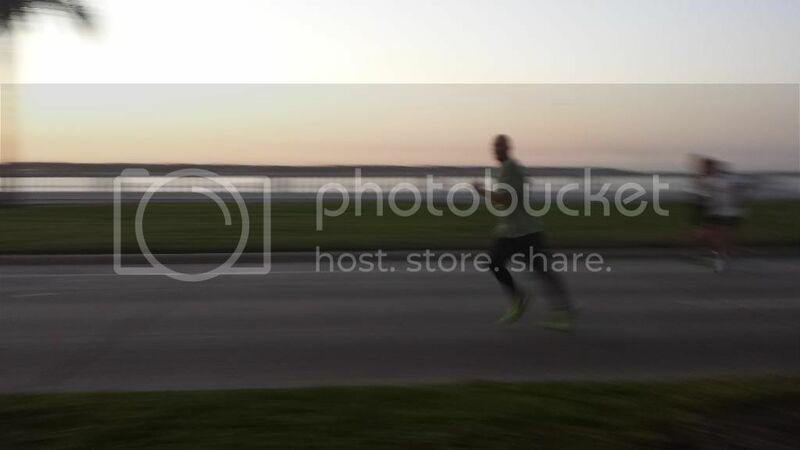 The course started at the Forum, looped around to Channelside drive and then headed down Bayshore, which is a popular running spot for locals. It was a scenic route with an out and back on Bayshore. The 5k followed the same route just had an earlier turn around. This was fun because I was able to see some of my friends running the 5k later in the race. I didn't have a goal for this race and just wanted to finish with a decent time. At the end of the first mile, my RunKeeper app said I had completed the mile is less than 13 minutes which is super great for me. However, I was still at the back of the pack. 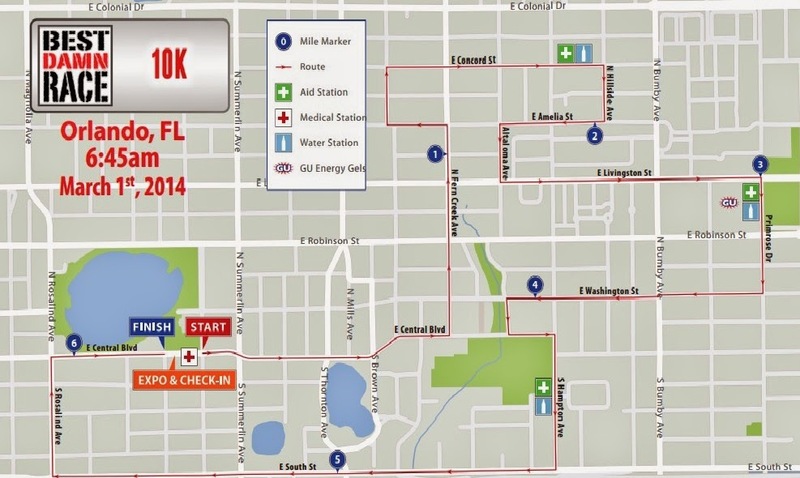 I got the feeling that the runners in this race were super fast on a familiar to them course. Rick is much faster and had a goal to finish in under 45 minutes. I saw him whiz by me as he was already headed back to the finish line. 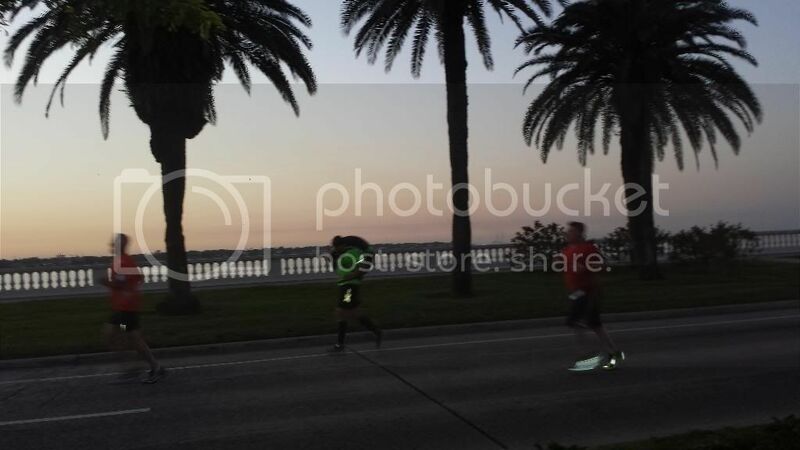 As I said, the route was scenic with most of the course on Bayshore Blvd over looking Tampa Bay. The guy in the next picture was behind Rick and it's my understanding he finished the entire race carrying that tire. After the turnaround, I could see the 5k runners at their turnaround ahead. I started to look for my friend Keith. Not long after, I found him going towards the 5k turnaround. My favorite part about local races is all the friends you run into during and after the race. I knew we were close to the finish line so I just pushed through. 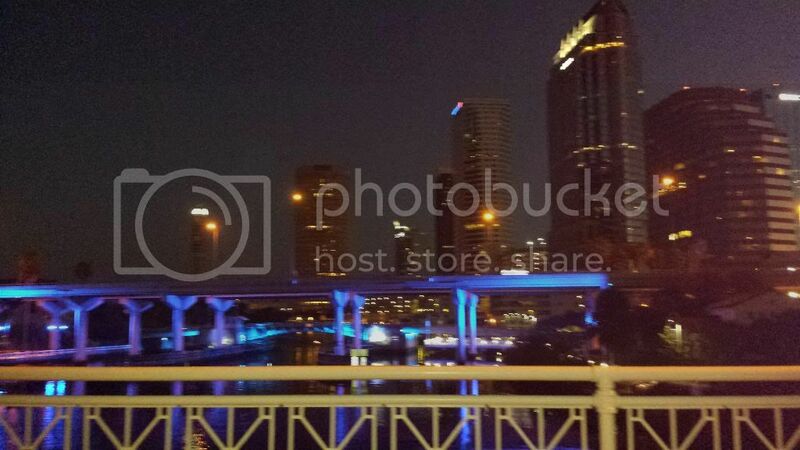 Soon enough, we were going back across the small bridge that leads back to downtown and towards the finish line. At the finish line, I saw my friends, Kelly and Angela who were waiting for Brandi to cross the finish line. I waited with them to see Brandi, Krysti (sorry no picture) and Keith cross the finish line. While waiting at the finish line, Rick found us and I learned he had met his under 45 minute goal! Way to go! I was super proud of all of our finisher's time but specially Krysti's. She had not been training the way Rick and I had been. The after race food offerings included pizza, bagels, bananas, and beer. We hung around for a little bit to enjoy the food and take in the atmosphere. The after race expo was very small with just a few vendors there. There really wasn't much to do after the race so we headed home. The registration fee included a ticket to that Monday night's Lightning game which was a ton of fun! This was a good local race with a scenic familiar course but we are not sure we will do it again next year. There really wasn't anything bad about the race and the Lightning ticket is a great perk. 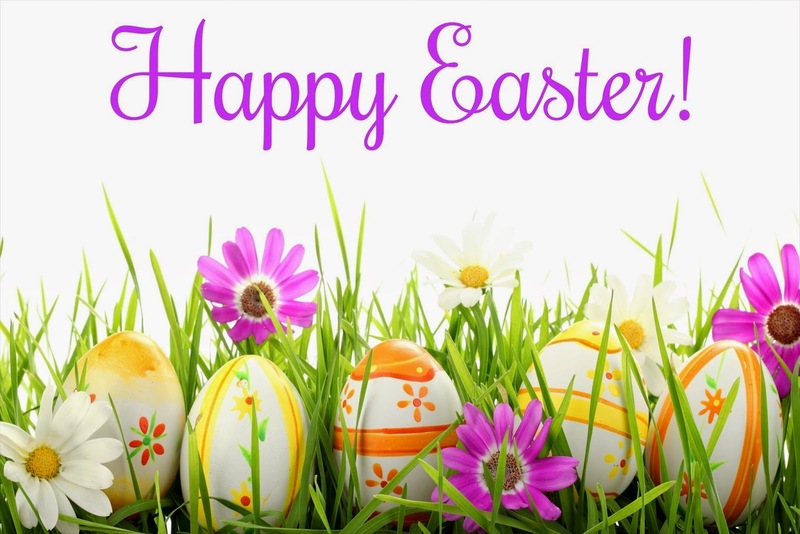 I hope everyone had a wonderful day today!! Oh what a week it has been. 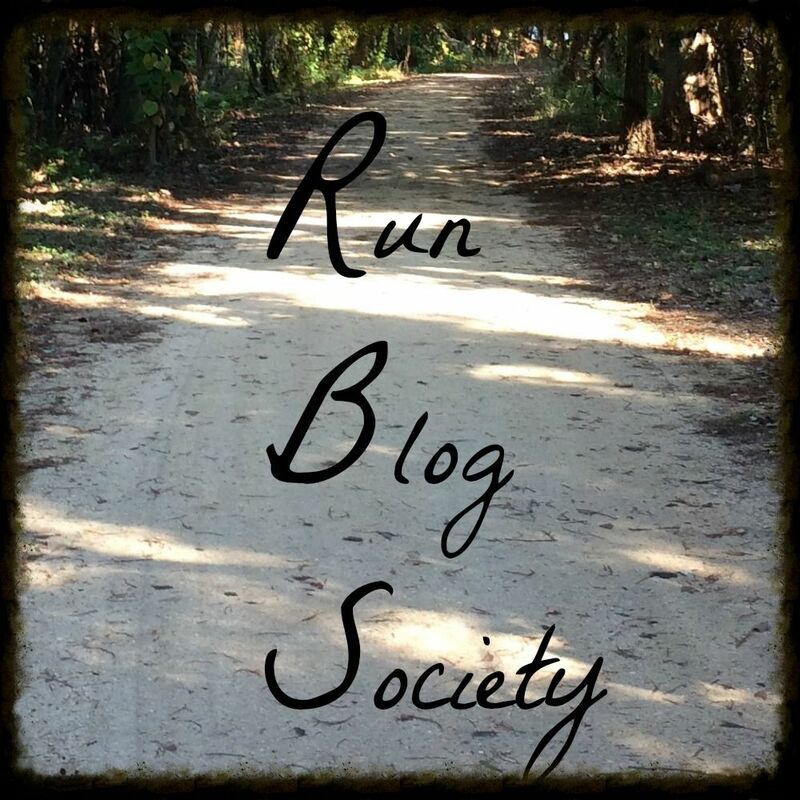 I didn't do any blogging at all last week and I'm sadden that I missed a weekly chase. I appreciate you guys reading this because it keeps me accountable. Otherwise, things have gotten so busy, I might just stop being accountable all together. Complete week two of Camp Gladiator. This will only be complete if I go 4 days. - Completed! Both weeks two and three of Camp Gladiator are complete. I am loving this workout and plan to continue to go. This is the final week for this session and there there is an off week before the next session. Complete 5 mile run on Saturday - Failed. I only completed about 2.5 miles. My legs were super tired. Continue to track all of my food for the week - Completed but I've decided that it's not just about tracking but paying attention to what I'm eating and making better choices. This goal will evolve. I was talking to my CG trainer and he suggested that I incorporate much more protein into my food intake. He made a breakfast suggestion I'm going to try this week. Get caught up on the blog. I have two race recaps and a Universal Mardi Gras review to get posted and I'm hoping to get that done this week. BIG FAT FAIL!! 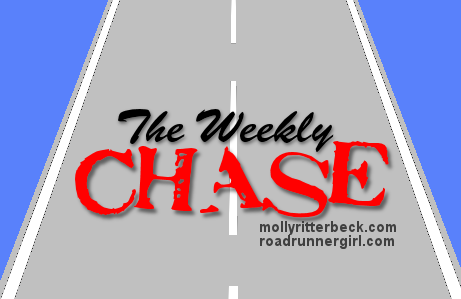 Not only did I not get caught up, I completely missed last week's The Weekly Chase. I must work on this. It's number one priority at this point. 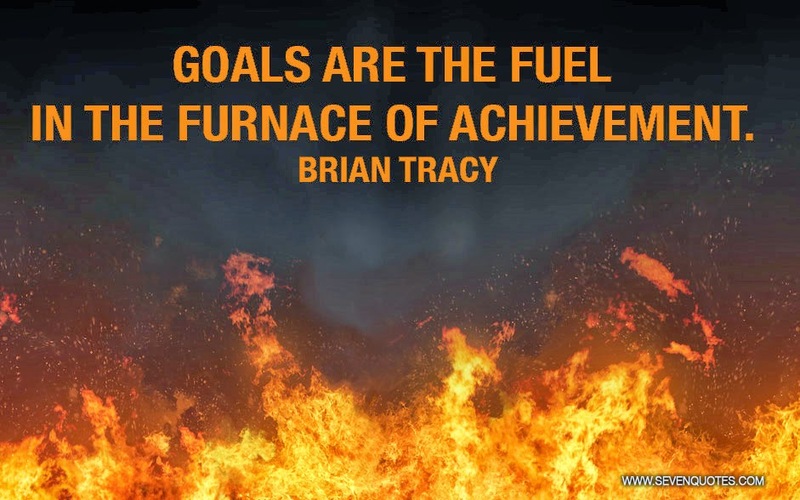 What are your goals this week? Are you staying accountable? What keeps you accountable to your goals? About a month ago (yes I'm super behind in race recaps), my husband and I completed the Best Damn Race in Orlando. 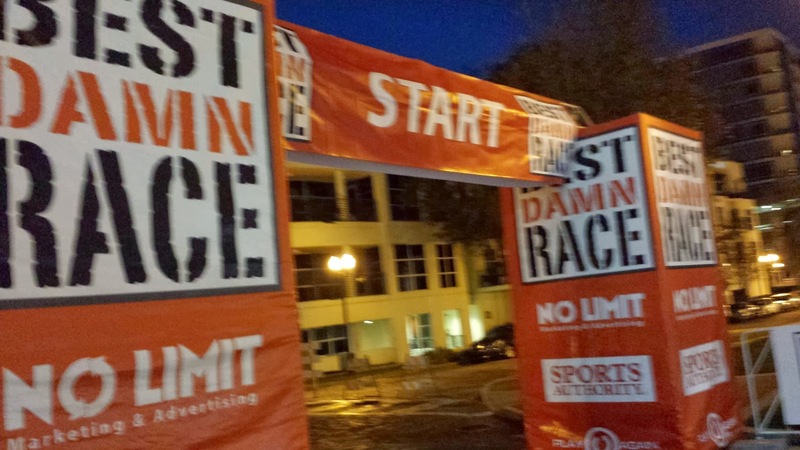 We had participated in the Best Damn Race 5k in Safety Harbor and were so impressed with the race experience, we wanted to partake in the Orlando race. This time we signed up for the 10k. 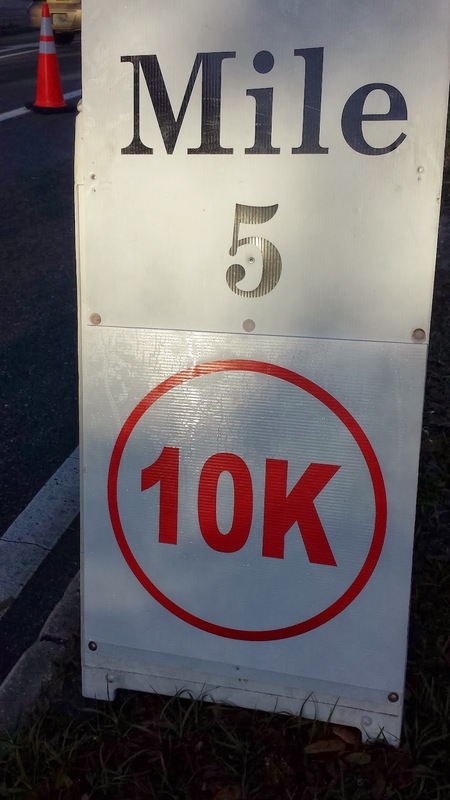 It was my husband's first 10k. The course was scenic with lots of support. There were 5 water stations for the 10k and they passed out GU at mile 3. There were some streets that were cobblestone so you had to be careful with your footing. I normally run intervals for races but I could not get my RunKeeper to start correctly at the start so this was the first race where I just ran when I could and walked when I had to. About half way through the race, I realized I was making great time and had a chance at a PR. Before I knew it, we had reached mile 5 and were headed towards the finish line. The last mile seemed to go on forever but quick runner's math confirmed that I not only had a chance for a PR but I could take a full five minutes from my Turkey Trot time. One last right turn back towards Lake Eola and soon the finish line was there. I finished with a new PR taking 5 minutes off my previous 10k time. I was at the bottom of the results for my age group but was proud of my finish time and improvement. My husband finish in under an hour so we both went to ring the PR Bell. 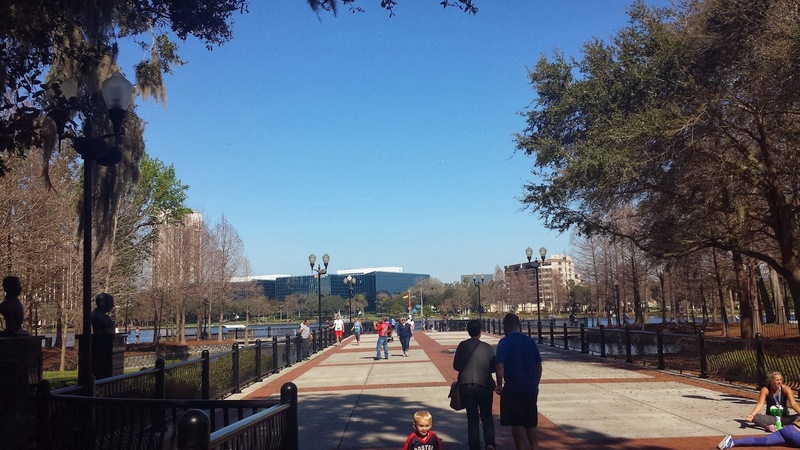 It was a beautiful day in Orlando so we hung around to enjoy the festivities to a while. They food (typical after race fare), free beer, and a small expo of vendors. My husband and I really enjoy the Best Damn Race series. They really put on a wonderful race! 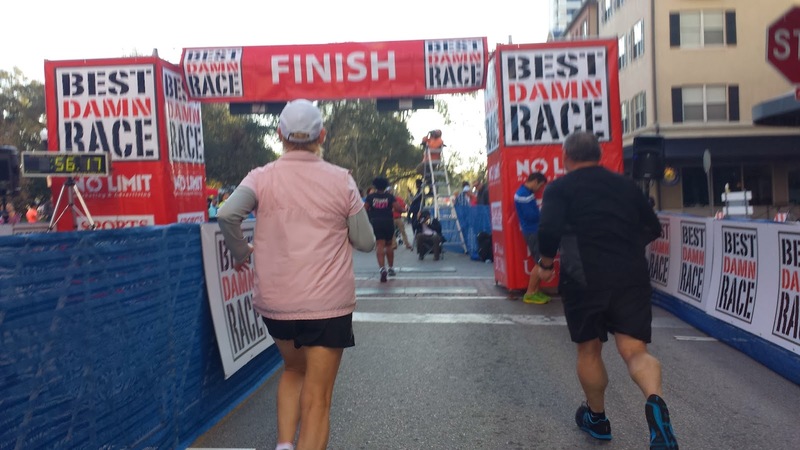 We enjoy them so much that we are looking forward to participating in the recently announced Best Damn Race Cape Coral in December. 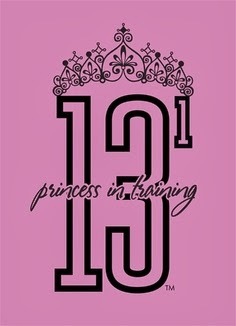 It will be my husband's first half marathon and my third. 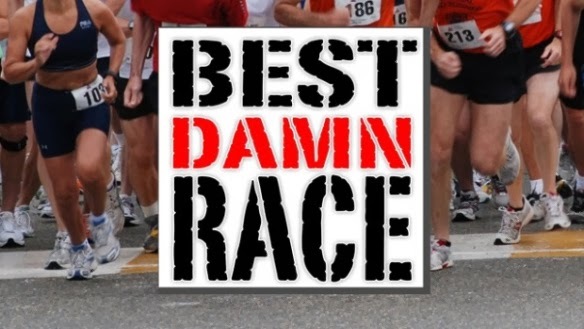 If you are looking for a well run race series, I highly recommend Best Damn Race! What's your favorite race series?